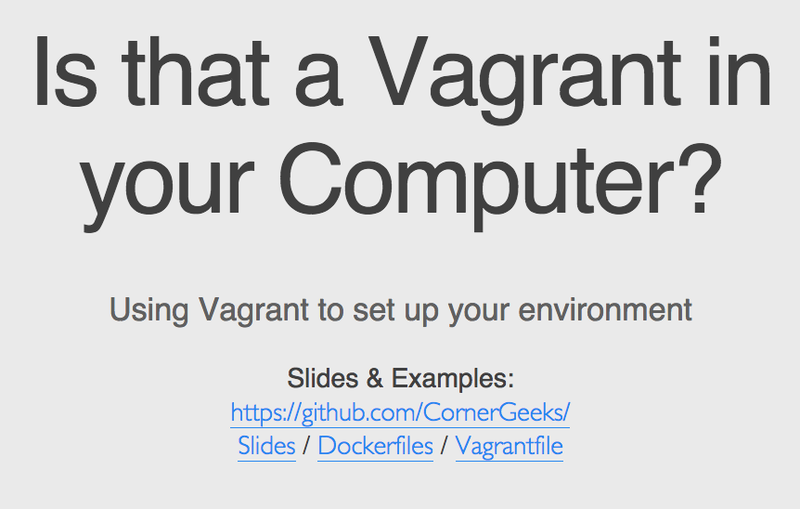 This is essentially an intro to Vagrant and an intro to Docker slide decks combined into one. These slides were prepared for GDG DevFest 2014 but was cancelled last minute. Best not let the slides go to waste.